If you are trying to lose weight, you may be recommended to drink more. In some cases (water), liquids deliver fewer calories and carbohydrates than solid foods. Unfortunately, some seemingly innocent beverages and other liquids can cause serious fat and weight gain because of the hidden ingredients they deliver. Keep the following tips in mind or you may just be drinking on the pounds. • Dr. Richard Mattes reminds us that, "Fluid calories do not hold strong satiety properties, don't suppress hunger and don't elicit compensatory dietary responses." This means if you consume a lot of liquids which are calorie-rich, you end up consuming more calories in a day without even realizing it. • There is one of liquid you can drink as much of as you like ... water. Water helps cleanse your body of unhealthy and unneeded waste. Water delivers 0 calories, and your body needs at least a gallon a day (in the foods and beverages you consume) to function properly. • Avoid diet soft drinks like the plague. These are most often packed full of sugar and artificial sweeteners. They are also intentionally loaded with addictive chemicals and other unhealthy additives and preservatives. 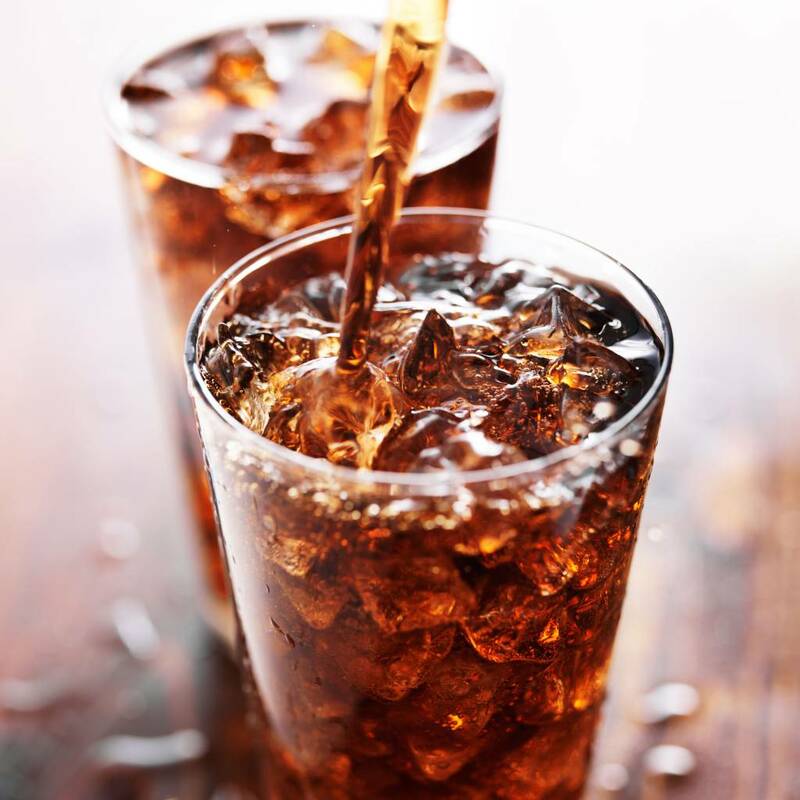 Many important studies have pointed to fat and weight gain as a direct result of drinking diet soft drinks. • Energy drinks should be avoided entirely. Not only do they put an unnecessary stress on your heart, but they are extremely high in carbohydrates. For instance, one small can of Red Bull delivers just 115 calories. However, a whopping 28.3 carbohydrates instantly stream into your body, many of them converted to fat. • Fruit juice is the sneaky "healthy" beverage you should limit in your diet. One cup of orange juice, for example, delivers just 90 healthy calories. It also gives you a wonderful dose of vitamin C. However, 20 grams of carbohydrates are included in this low fiber, high sugar beverage. • There is only one nutrient which delivers more calories per gram than alcohol ... and that's fat! Alcohol, found in beer, wine and mixed drinks, delivers a whopping 7 calories per gram. This means a huge dose of daily calories that are converted directly into body fat. Unfortunately, alcohol also suppresses your body's ability to burn fat as fuel. • Don't forget smart serving sizes. Beverage cans and bottles of 6 or 7 ounces were once commonplace. Now it is tough to find retail beverages offered in anything less than 12, 16 or even 20 ounce containers. You don't have to totally rid your life of tasty, delicious drinks and sodas. Just cut back on the quantities and the serving sizes, while ramping up your water intake.